The "Save Copy to Users" and "Send to Front Page of Users" features enable a user to create a specific type of report on their Reports page and share it with other professionals/athletes so that the report appears on the other users system automatically. These permissions must be enabled to allow a user to set up a report that appears in another User's Reports list, or as a Front Page Report that appears on their Front page (Home page) when they login. 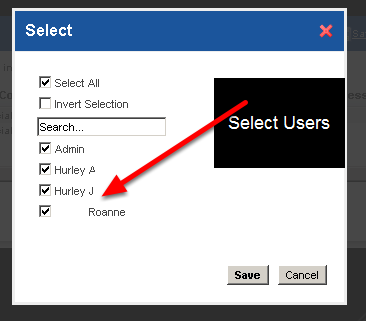 As an administrator it is your responsibility to decide which users should be able to access this feature. From a system set up and implementation perspective it is an important feature to allow an administrator to set up medical reports for injuries or illnesses that are not fully closed and to set these up as front page reports on all users systems. However, a number of users will not need to share reports with other users on the system and should not be given these permissions. You can create a new role, or open an existing role and add in the permissions for these reports. E.g some Medical Team Doctors may need access to set up Medical Reports and share them with other users, but they do not need the permission to set up new front page reports for other users. This would mean you could set up two separate roles, or add this capability to an existing role. The example here shows a single Role being given access to both of these capabilities. The Role may have existing permissions, or it may be blank. 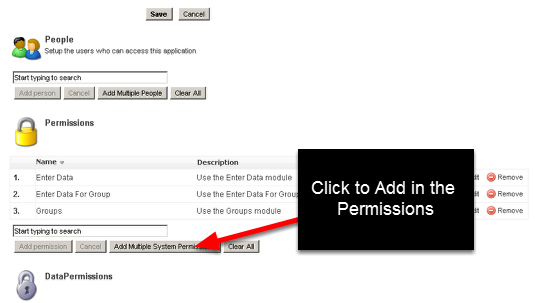 Click on the Add Multiple System Permissions button. The User MUST have access to the Reports System Permission or they won't be able to access the Reports Page to access these capabilities. Reports- Send to Users enables users to set up a report and share it so it appears in other Users' Reports Page Lists (as discussed below). This can only be applied to Coaches and other Professionals. 3: The User MUST have access to the "Reports" System Permission or they won't be able to access the actual Reports Page to access these capabilities. So if the "Reports" system permission appears in your Add Multiple Permission list then ensure it is ticked (as shown here). 4: Click "Add System Permissions"
On the Reports Module, once a report is run the user can click the "Save Copy to Users" button (e.g. the Reports-Send to Users Permission) that are available on the right of the Reports Page. 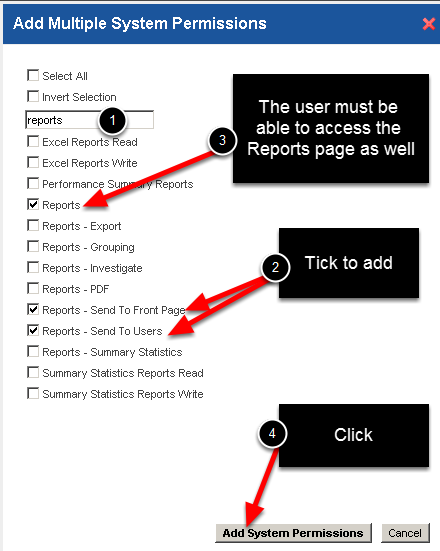 Please note that if the other users do not have read or write access to the Event Form that was used to create the report, the report name will still show on their Reports Page, but they will not be able to load the report. Choose the Users carefully so as not to clutter the other Users' Reports Page. N.B. The Send to Front Page can be applied to Athletes AND Professional (Coaches), and the Send a Copy will also appear on the Athletes and Professional system. A copy of the report will NOT appear on the Reports Page of the user who created it, unless they selected their own name in the sharing list. A copy of the new report will appear on all of the Users' Reports pages with whom the report was shared with. An example of this is shown in the step below. The Professional will have the same report settings, but they may need to update the list of athletes they run the reports for. 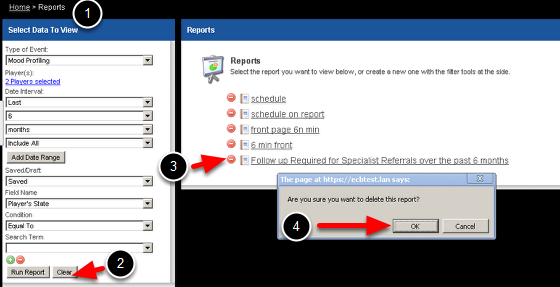 They can delete the report at any time if they do not need it (as shown in the image 2 steps below). Unexpected Error: An example of what happens when the user loads a shared Report when they do not have access to the Event Form used to create the report. They need to delete the report (see the step below). Zoom: Unexpected Error: An example of what happens when the user loads a shared Report when they do not have access to the Event Form used to create the report. They need to delete the report (see the step below). When the user clicked on the shared Report to run it and they have not been given access to the event form that was used to create the report, an unexpected error message will appear. 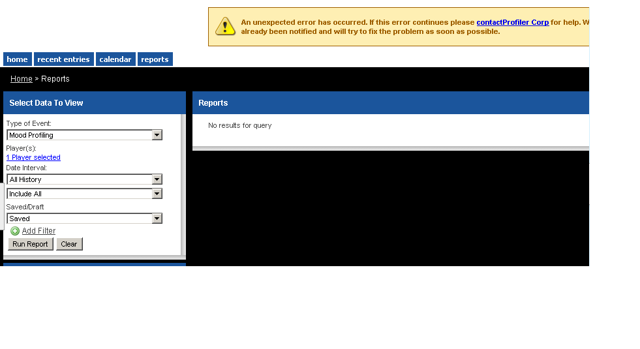 This user needs to delete the report from their Reports page (as shown in the image below). Place a tick beside the users who you want to share the report with. 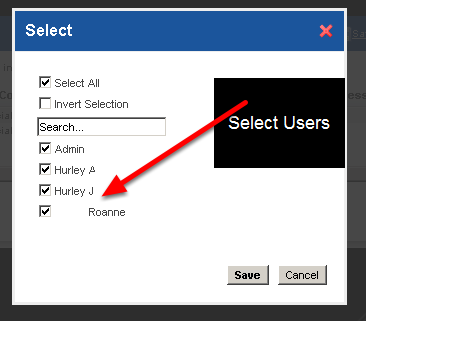 Once you save the report it will appear on those users home page when they login to the system. It will only appear on your system if you selected to share the report with yourself.